According to the latest Goldman Sachs report 'Profiles in Innovation', virtual reality is predicted to grow into an 80 billion dollar industry by 2025. 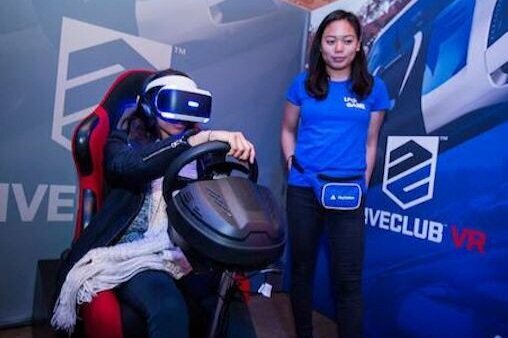 Event and live broadcast sectors are also expected to benefit from VR integration with a predicted growth of 4.1 billion dollars. At Shoreditch London, we are already embracing immersive virtual reality enhanced events and looking to expand on this exciting sector. Google launched their Daydream view VR headsets at Kachette to an exclusive guest list of Google influencers (see video). Coordinated by creative agency Amplify, the event was was one of Kachette’s all time favourite events with VR demos for Google Pixel phones including a 360° music video collaboration with Sampha and YouTube. Guests were also treated an immersive four course meal with stunning roof projection mapping above the long table dinner. As a final surprise, the VR preview was followed up with something a little more real world - a live grand piano performance from Sampha himself! Playstation also launched their VR headsets at Kachette. The headsets are now the highest selling VR headsets on the market. Our latest VR client, Jenson8, regularly host VR enhanced corporate training sessions at Shoreditch Studios. We love hosting VR and emerging tech events. Speak to our event team on 020 7033 9006 to find out about how you can incorporate virtual reality and the latest event tech at your next corporate event, product launch or party.